For several years in a row, Phil and I were invited to give a talk to parents of kindergarten students at Scotts Creek School where Phil taught 7th and 8th grade Language Arts. We would introduce ourselves as parents of four grown children, and say that between us, we had many years (40+) of teaching experience. This was meant in no way to give the impression that we were experts. Yet we did want those listening to know where we were coming from. The purpose of the session was to encourage parents to start at the beginning to take an active role in their children’s education – then maintain that involvement throughout their child’s career in school. It is evident at any school open house, the higher the grade, the less parents come to meet their child’s teacher. Why do parents start out involved and present at school activities when their children are young, then fade into the background as their child grows? Unless it is an athletic event, it is difficult to get parents of teens to show up at school. If we think that the moment we turn our children over to a teacher, our responsibility for their education in over, we are sadly mistaken. As parents, we have a vital role in supporting, monitoring, advocating, and (only when absolutely necessary) intervening in our children’s education. There is no excuse to abdicate that role to a teacher. As a dedicated teacher myself, I admit that I did not see and hear everything that went on in my classroom. I also know that I was not aware of some of the special needs or circumstances my students faced – unless the child or parent told me. if you say, “No video games until you pick up your toys” stick to it. Don’t take excuses. This leads the child to believe that your instructions are negotiable. It takes effort but it will pay off! It will help them be the best student they can be. Using devices, watching TV, videos, playing video games, even educational content, may rob children of doing many things that are important to their physical, emotional, and social development, like playing outside. May God bless our children and grandchildren with a great school year that helps them grow in God’s grace. The pew was shaking – I knew because my parents were giving my little brother and I the “evil eye”. The pew was shaking because we were trying our best to suppress the laughter that arose every time we sang that song. After once being overcome with giggles, a simple glance at each other set us off again. Did that ever happen to you? Do you remember how hard it was to stop – even knowing the trouble we were in if we didn’t stop. “Alas and did my Savior bleed and did my Sovereign die? That was the line that did it! That set off the giggles. It is a beautiful hymn with deep and heartfelt meaning. But for Gregg and I, the vision of ourselves as worms brought on laughter every time we sang it. Sometimes it is hard being a child in a worship service. I thought this was a great way to introduce adolescents to note taking. These two girls seemed very engaged with the process. It is a challenge for children to participate in worship services, yet it is such a blessing for children to learn at a young age that they can sense God’s presence and learn to honor him through worship. God gives instructions to his people, the Jews, before they enter the promised land. They have spent 40 years in the wilderness and God wants to make sure that they REMEMBER the lessons he has taught them. Doesn’t that sound just like a parent? Teaching our children the importance of authentic worship is best accomplished when they see their parents and grandparents worshipping authentically. threats prolong misbehavior and the child will keep misbehaving to see just how long they can get away with something before the parent intervenes. do NOT criticize the worship service in front of your children, such as complaining about the choice of songs, the sermon, or the special music. This will breed disrespect for the participants in the worship service. Looking back on my over 64 years of participating in worship, I am so thankful my parents included me as a young child…. 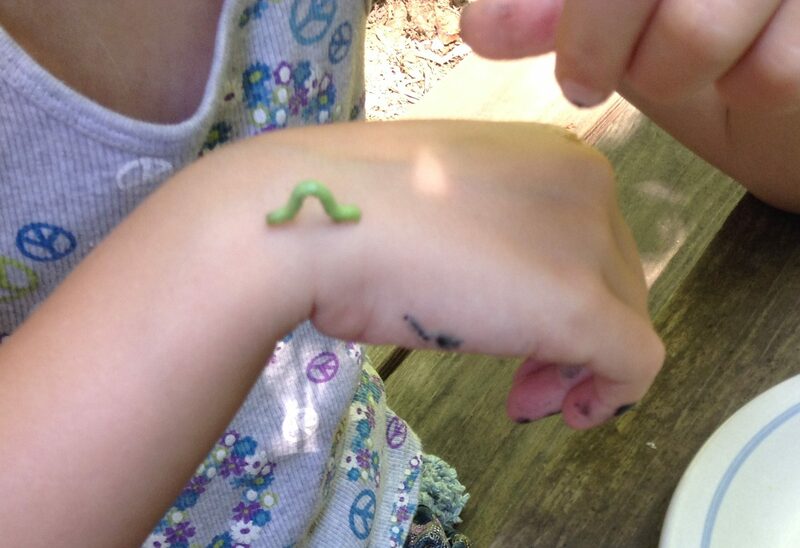 even a worm such as I. 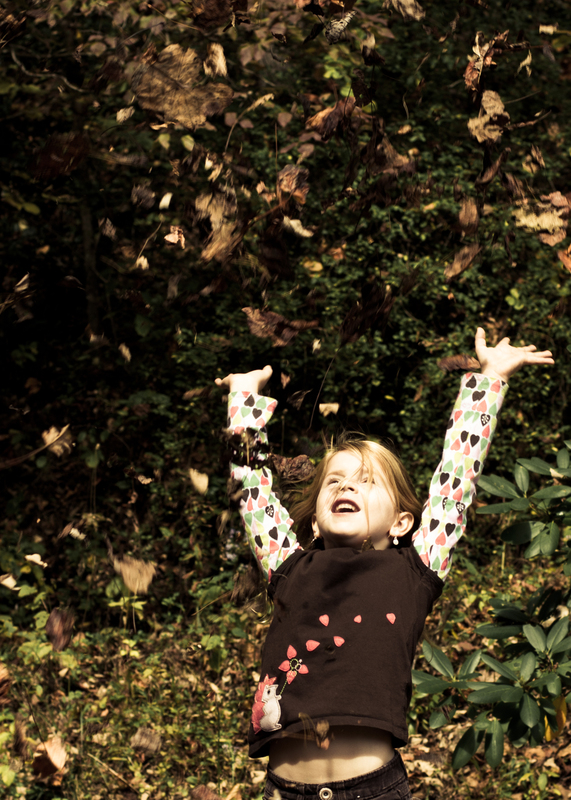 Our daughter shared a post yesterday from John Piper about worshipping with our children. It is excellent and if you want to read it, I have included the link below. “As mothers of young children your body is a living sacrifice. You are no longer your own. You get up in the morning, change diapers, breastfeed, have meals, tend to chores (when able) and meet others’ needs all day long according to their schedule, not your own. A loving mother sacrifices her own wants and needs for her family. 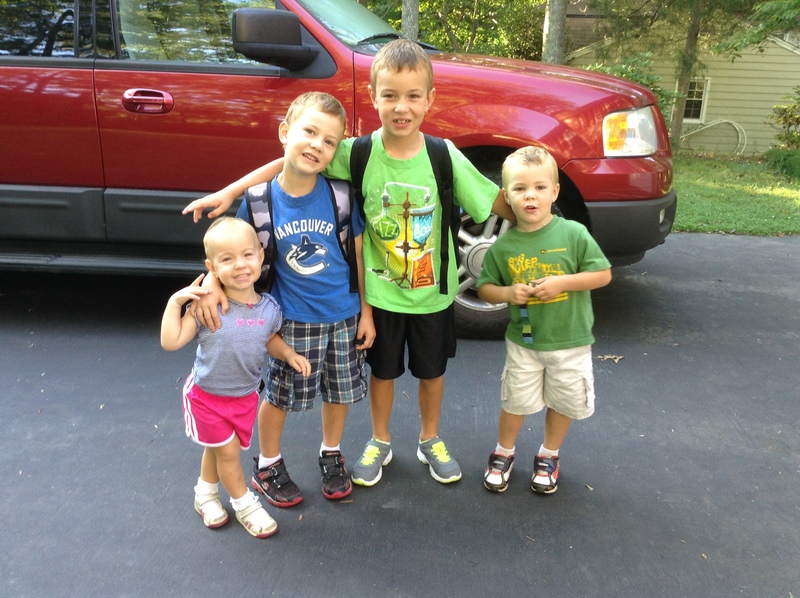 I can remember thinking when our four children were small that I would never feel rested again. I couldn’t imagine getting enough rest! Yet, God convicted me with the truth of the above scripture one day at our home group. The home group leader, Phil, asked us to think about what in our lives were hindrances to authentic worship. The immediate response that came to my mind was “my children”! These were gifts from God! Why did I see them as a hindrance? Worshipping in church services with our children is one way to sacrifice – for a relatively short period of time – our own desire to focus on worship without distractions. As our children watch us worship, they will learn what worship is and learn to sense the Holy Spirit’s presence through the various parts of the service. I believe once children are 5 years old, (some even before), most are able to learn what it means to sit quietly, participating as they are able. John Piper says – “Authentic, heartfelt worship is the most valuable thing in human experience.” Yes! Amen! If I believe that, why would I deprive my children of this experience? Add to that the joy of experiencing authentic worship together. There will be challenging times, especially at first, but it is well worth the effort. This is true for grandparents as well. Grandparents need to support and encourage our grandchildren to worship, first by being examples of those who truly worship ourselves. What a joy to experience the act of true worship together as families! desiringgod.org “Should Children Sit Through “Big Church”? Today would have been my parents’ 68th wedding anniversary. They had over 67 years together and this is the first anniversary that mother is alone. Yet, she would tell you she is not alone. I was with her two weeks ago and we were going through the many cards, letters, notes and messages that Mother has received since the passing of my father at 91 years old on February 10th. It was a very sweet time of remembering people who had been blessed by my father and mother, and who had in turn blessed them. Among the notes was one in my father’s handwriting. It was on a small piece of note paper and must have been placed in a small gift box on their anniversary 4 years ago. She had placed it with the new notes to put in a memory book I was making for her. I could fill this box with many material things and they would end up being just things. But I am filling this box with two intangibles that will be valued by you for the rest of your life. 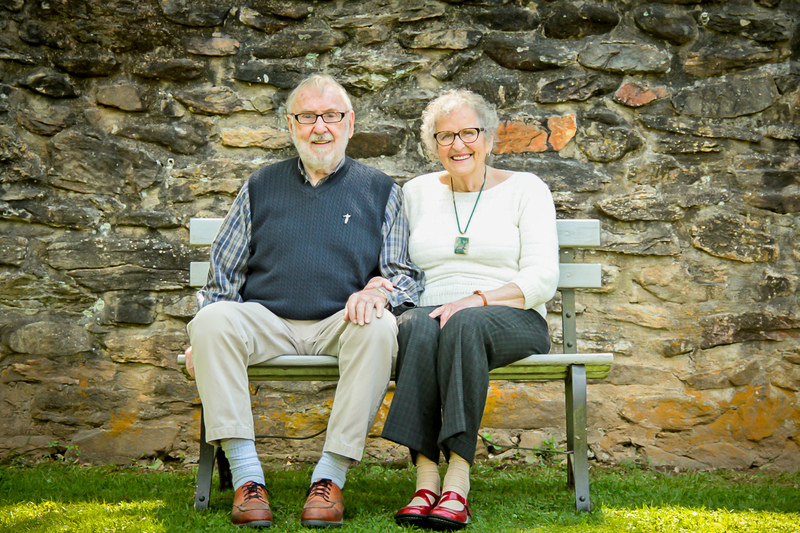 So – this box is filled to its fullest with God’s love that can not be fully described but keenly felt, and with my love that has been yours for over 64 years and will continue on till we have to part, but then will become the indescribable love of being with Jesus. This is what authentic love invested in another individual looks like – an investment for eternity. I Corinthians 13 describes REAL love. Verse 7 summarizes love that is the antithesis of the love our culture practices. I am so thankful for parents who loved one another with God’s love. It was loved that lasted as long as they both lived, and now is “that indescribable love of being with Jesus” as my father wrote to mother. I pray that our marriages will be just such a demonstration of God’s love to our children and grandchildren. Invest in love for eternity.